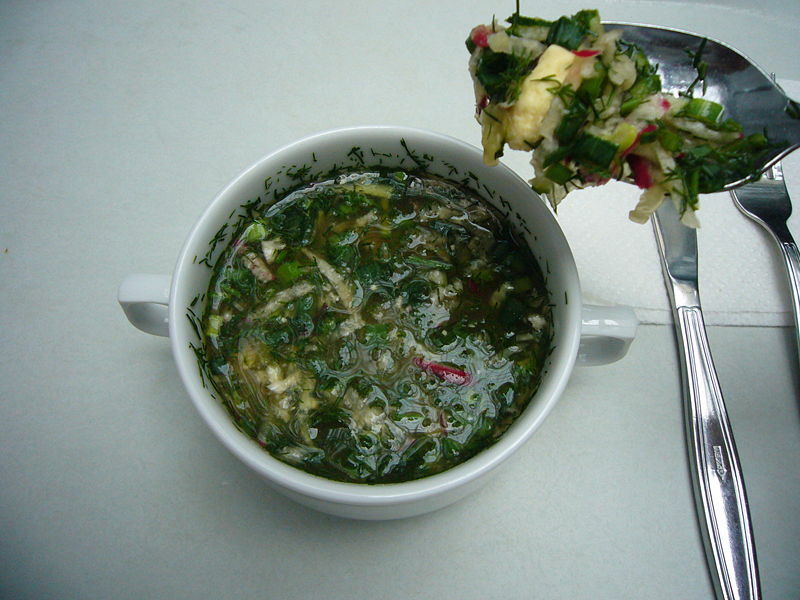 Okroshka is a cold soup based on kvass or less often sour milk. The main ingredients of both types are vegetables that can be mixed with cold boiled meat or fish in a 1:1 proportion. Thus vegetable, meat, and fish varieties of okroshka are made. 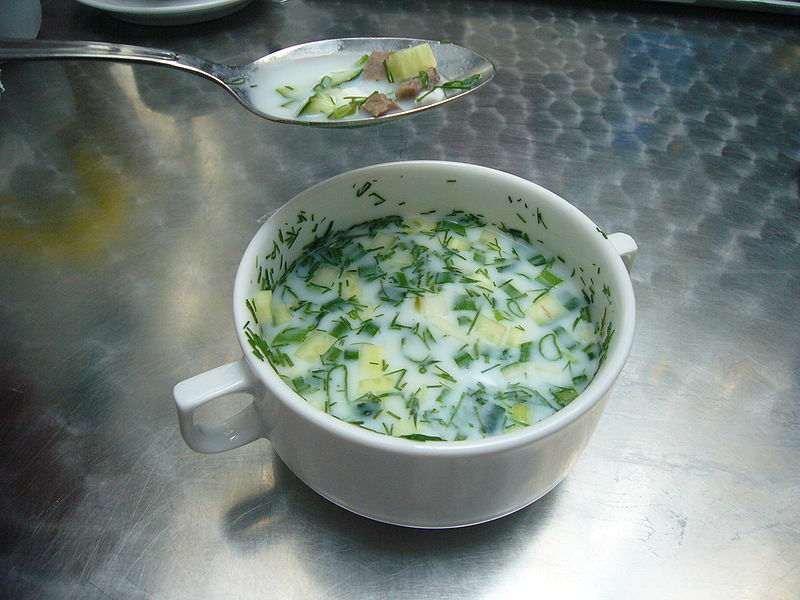 For sour milk based okroshka, well shaken up natural sour milk (often with the addition of seed oil) is used with the addition of pure water and ground garlic. Sometimes manufactured kefir is used instead of natural sour milk for time saving reasons, though some say it detracts from the original taste of okroshka.